First place winners in the July 4th Kiddie Parade. 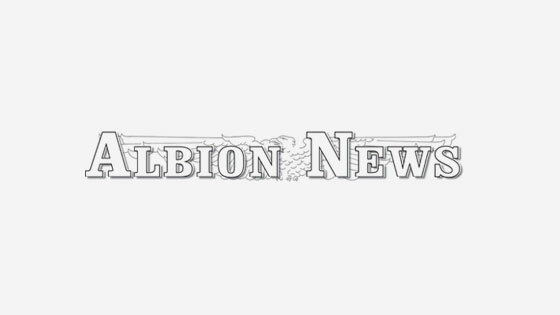 About 100 area children took part in Albion’s fifth annual July 4th Kiddie Parade on Tuesday. 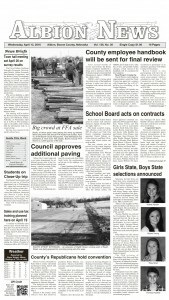 Boone Central High School and Middle School band members led the parade. 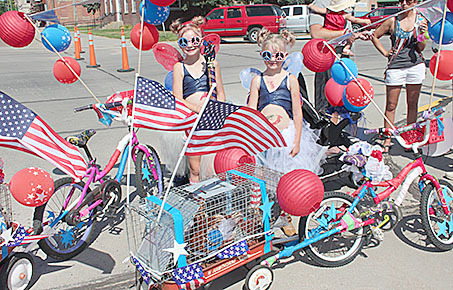 The children had their bikes, wagons and tricycles decked out in red, white and blue for the event. A small crowd of spectators watched the parade along Church Street. Winning first place (above) were Kenna and Evy Aalbers, who included two chickens from the family pen in their decorated entry. Kenna is eight years old, and Evy is six. Their parents are Kim and Drew Schaeffer of Albion. Second place went to Logan Krohn, one-year-old son of Jason and Jenny Krohn of Ankeny, IA, and third place went to the team of Samantha, Avery and Jacob Krohn, children of Matt and Emily Krohn of Albion.